Few consumers will have heard of it yet – for one thing, there’s no Twitter or Facebook presence that I can see – but new value fashion chain Pep&Co is certainly sparking interest and expectation in retail circles. 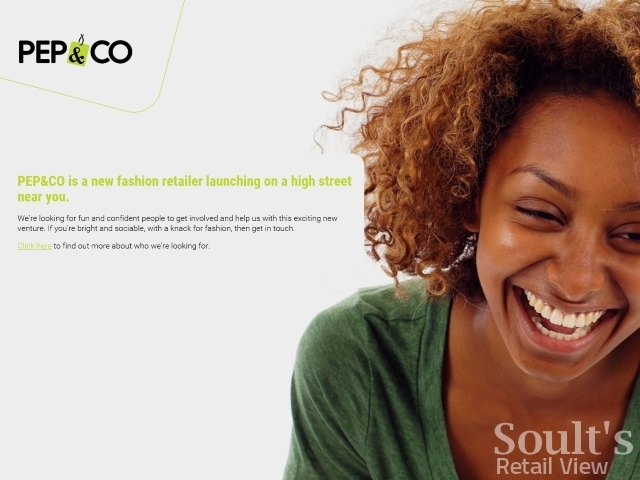 The launch of Pep&Co – with 50 stores set to open in 50 days this summer, starting with Kettering on 1 July – is audacious, not least because the women’s value fashion market is one of retail’s most crowded and competitive. Primark, of course, dominates the bigger retail centres, alongside rivals such as H&M and New Look. Meanwhile, value players like M&Co, Store Twenty One, Select and Peacocks trade from many smaller high streets, while Ethel Austin and Internaçionale have whimpered into oblivion in recent years following multiple administrations. In other sectors, the swift rise and demise of DVD retailer Silverscreen, back in 2006, is a lesson in what can happen if a business opens stores with too much gusto. Happily, despite these potential challenges, Pep&Co seems to have much going for it. First, the team behind the company – including ex-Asda boss Andy Bond, renowned South African retailer Christo Wiese (Chairman of the Pepkor conglomerate), and former Sainsbury’s and Matalan exec Adrian Mountford – gives the enterprise instant credibility and weight. Indeed, Wiese already has an interest in UK fashion retail after snapping up New Look less than a month ago. Second, the locations revealed to date – including 3,500 sq ft to 5,500 sq ft sites, almost all inside shopping centres in medium-sized towns – distinguishes the business both from Primark’s vast destination stores and the hundreds of M&Cos and Store Twenty Ones that tend to sit on secondary high streets (and rarely in malls). Third, Pep&Co is adopting a distinctive positioning as a “family fashion” chain – so, no menswear yet, but a mix of affordable but fashionable women’s clothing, childrenswear and homewares (cushions and throws, and the like). Again, this could work – as in grocery retailing, shoppers are recognising the appeal of smaller shops that don’t overwhelm with crowds and stock, and there’s arguably still a Woolworths-shaped hole as far as finding decent kids’ clothing in smaller retail centres is concerned. It’s a point expanded by MD Adrian Mountford, too. So, what will the initially 50-strongh chain look like? While many new entrants to the market typically start in the south of the country and work their way up – hence the frustrating wait for many exciting new arrivals, like Tiger and Smiggle, to make it up here to Newcastle – Pep&Co is, unusually, opening all over the UK at once. 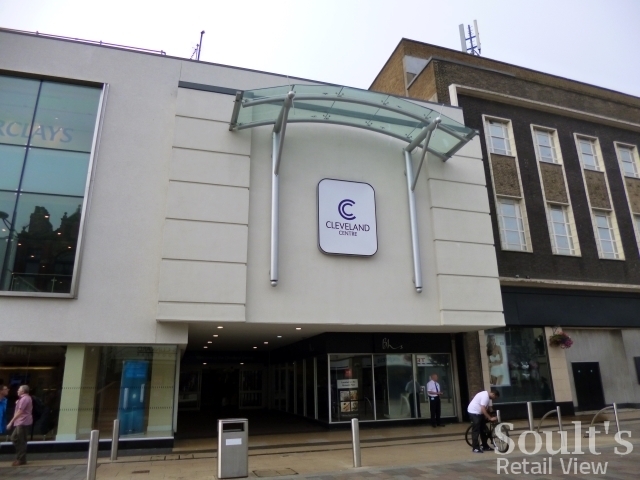 Though there is a good peppering in the South and Midlands, both Wales (Cwmbran) and Scotland (Paisley, Dunfermline and Glenrothes) feature on the list of stores announced to date, while the North East and Yorkshire is represented by stores in Middlesbrough and Hull. The Middlesbrough branch will be in the resurgent Cleveland Centre, occupying what I understand to be the recently vacated Bank unit. Indeed, looking quickly at the addresses, there are quite a few Pep&Co stores that seem to be earmarked for sites where other fashion retailers have failed, such as the ex-Internaçionale locations in (at least) Gloucester, Grays, Kettering, Maidstone and Paisley, an old MK One in Redhill, and a former Ethel Austin in Birkenhead. West Bromwich (Unit 36d Kings Square Shopping Centre). Of course, whether Pep&Co thrives or not will depend on those most fundamental features of retailing – the quality and appeal of the product; the price points; and the overall customer experience instore (and it is all about instore for now, with no e-commerce on the immediate horizon). The event opened with a passionate and note-free speech from former Asda chairman and chief executive Andy Bond, jokingly introduced by Ruby Wax as “nobody now”, following the end of his 16-year-stint at the Walmart-owned retailer. Unsurprisingly, current economic challenges were a recurring context in this and subsequent speeches, with Bond arguing that UK retail is in for “a tough time” this year and next, and that the “retail recession is ahead of us” rather than behind. However, he sought to offer a practical perspective on how retailers can rise to those challenges, highlighting the three imperatives of, firstly, delivering what (increasingly empowered) customers want; secondly, building a competitive business model through employing great people, building a business based on purpose and integrity, and being passionate about product; and, thirdly, driving one’s own personal development. So, given those sound principles, and what we know of Pep&Co so far, I’m looking forward to being able to have a sneak preview of the first store, in Kettering, a few days before it opens. Assuming they let me take some pictures, I’ll share my initial reactions with you then. My retail consultancy business, CannyInsights.com, provides bespoke place- and sector-specific market insight, including detailed coverage of the North East and nationwide. It also works with retailers to improve their stores, customer communications and market knowledge. For more information, visit www.cannyinsights.com, drop me an email, or give me a call on (0191) 461 0361. Previous story As Shop Direct closes Woolworths online, is a high-street return now more likely than ever?